Cold concrete floors in the winter is a common problem and one that we can easily solve. If you're planning on finishing your basement or concrete slab floor, then it’s a good idea to insulate before installing flooring. Insulating your basement floor not only keeps your feet warm, it also creates a comfortable living space and increases energy efficiency. Shepherd's Insulation offers insulated flooring options to make your concrete floors warm, dry and comfortable. Our exclusive products are designed specifically for basements, so you won't have to worry about your new floors being ruined by water, moisture or mold. Contact us today to schedule your free in-home consultation and estimate for basement floor insulation. We are the trusted insulation contractor in Colorado Springs and Colorado. If you want the look and feel of hardwood floors in your basement, ThermalDry Elite Plank flooring might be the best solution for getting warmer floors in your finished basement. Luxurious wood plank look, design and feel. Thermal break from the cold concrete slab makes the surface temperature of the floor up to 10 degrees warmer. Water resistant and made from inorganic materials - Won't rot, buckle or grow mold. Raised pegs on the bottom of the plank keep water vapor from getting trapped, eliminating mold and odors. Doesn't require subflooring - Flexible planks install easily over an uneven surface. See how easy it is to insulate your basement floors (or concrete slab) with ThermalDry® Insulated Floor Decking. ThermalDry Insulated Floor Decking provides an alternative to plywood decking and offers an insulated, dry surface for basement flooring, in a single application. Continuous layer of SilverGlo™ foam insulation reduces heat loss, warms the surface of the floor and makes a difference in the comfort of the floor. Made from inorganic materials - won't rot or grow mold. Saves 1-inch of ceiling height over traditional wood subfloor. 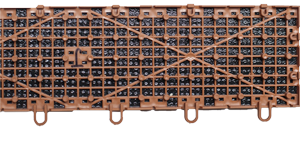 Special grooves on the bottom of the panel allow water from a basement leak to dry. Provides a dry, even surface for your favorite finished flooring. We recommend combining ThermalDry Decking with Pro Comfort Carpeting, which increases the temperature of the basement floor by up to 17 degrees. You don't have to deal with cold, uncomfortable basement floors any longer! Contact Shepherd's Insulation to learn more about our basement insulation solutions during your free in-home consultation. 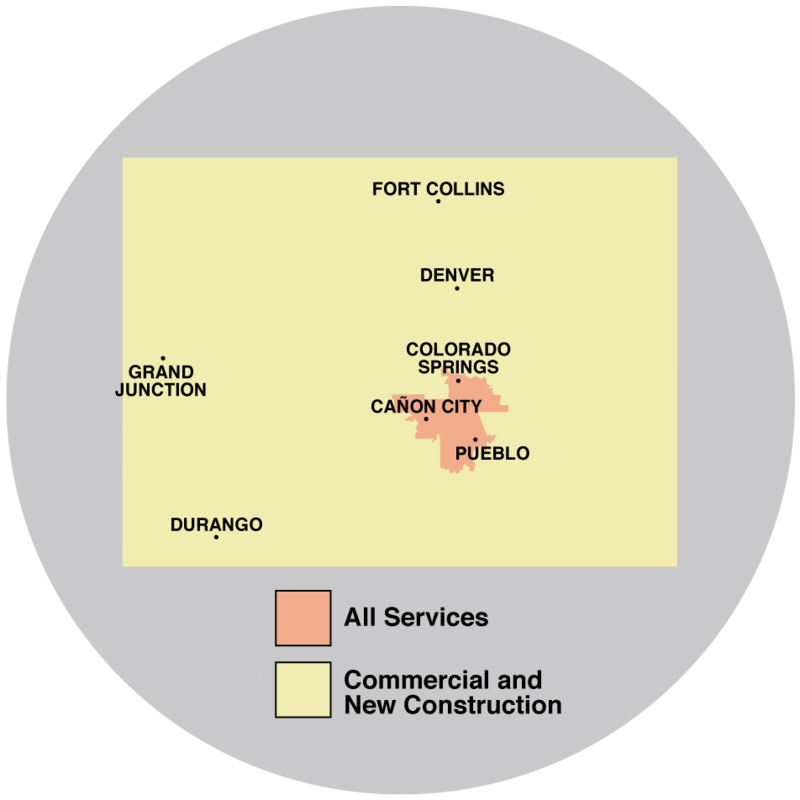 We service Pueblo, Colorado Springs, Canon City and surrounding areas in Colorado.